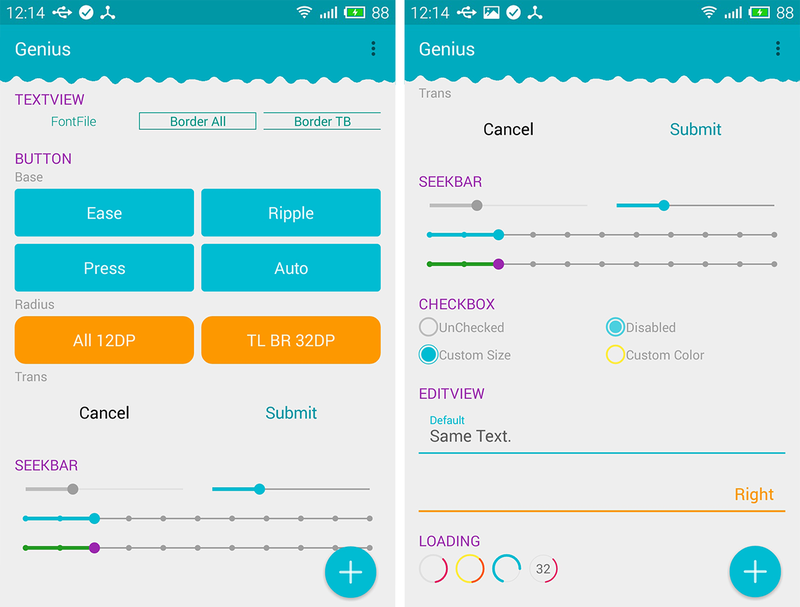 Genius-Android: by Material Design style and some commonly used packages. Starting in 2015, The divided into two branches: STEADY and CAPRICE. Note: STEADY with CAPRICE libraries are not compatible, is completely independent branch! Note: Each module is independent and can be used independently to dependency.